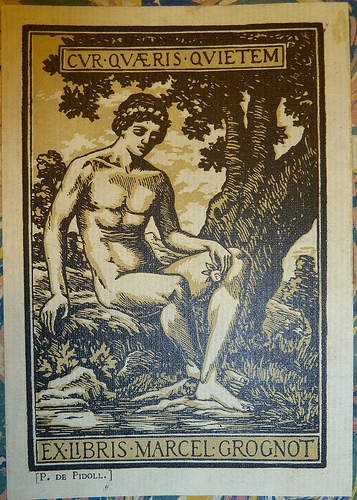 In 2014 we will read selections from Lucretius’ De rerum natura. In a sometimes lyrical, sometimes argumentative style, Lucretius argues that all matter is composed of atoms, and describes their movements (Books 1 and 2). He says that the soul itself is made of atoms, and is therefore mortal, and thus that we should not fear death (Book 3). He discusses the theory of sense perception and emotion (Book 4), of cosmology and the origin of culture, and argues that the world is not divinely made and governed and that the gods are not to be feared (Books 5 and 6). Throughout, Lucretius’ goals are both scientific and therapeutic. Participants must have a firm grasp of the basics of Latin grammar and a solid working vocabulary. But we aim at a mixture of levels and experience. Deadline for applications is May 1, 2014. The participation fee for each participant will $300. The fee covers lodging, three meals per day, the facilities fee, which allows access to the gym, fitness center, and the library, as well as wireless and wired internet access while on campus. The $300 fee does not cover the costs of books or travel. The recommended book is W.E. Leonard and S.B. Smith, The Latin Text of Lucretius (Madison: University of Wisconsin Press, 1942). Please keep in mind that the participation fee of $300, once it has been received by the seminar’s organizers, is not refundable. This is an administrative necessity. The first event will be an introductory dinner at 6:00 p.m., Sunday, July 13. The final session ends at noon on Saturday, July 19, with lunch to follow. Sessions will meet from 8:30 a.m. to 12:00 p.m. each day, with the afternoons left free for preparation. TO APPLY: please contact Mrs. Terri Blumenthal, blumentt@dickinson.edu by the application deadline May 1, 2014. The fee for 2014 is $300, due in a check made out to Dickinson College, by the fee deadline June 1, 2014.